Here’s some green issues I’ve come across this past week which I thought might be useful to pass on. Please add comments at the end if you’ve found the links of interest, I’d love to hear from you and see what you think. 1. 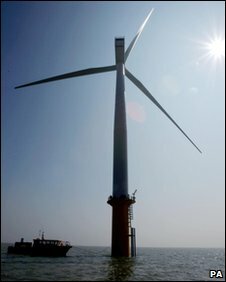 New UK Offshore wind farm licences are announced – see BBC news article from 8th January 2010 here. 2. The UK suffered its coldest night of the winter so far with temperatures plummeting to -22.3C (-8.1F) in a village in Sutherland in the Highlands on Thursday 7th January 2010. Next PostNext On the Buses!